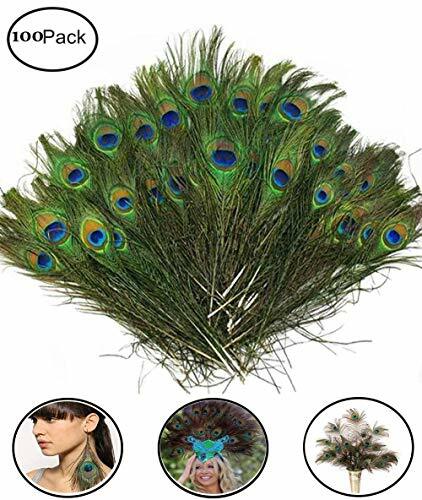 High quality peacock feathers with large "eyes". Disinfected by high temperature steam. 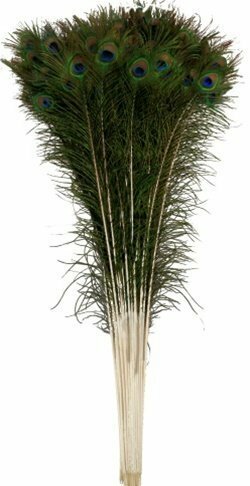 Feathers measures approximately 10 to 12 inches in length. 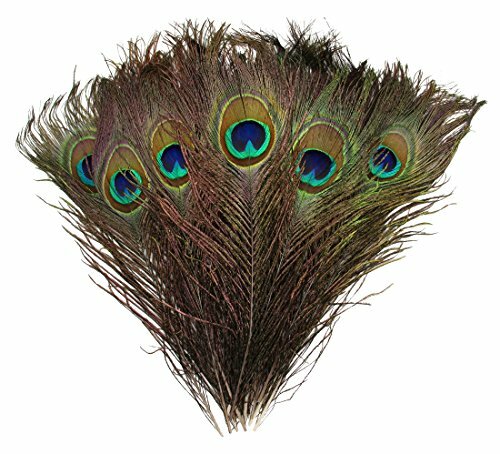 Please beware not all feathers are the same because these are natural peacock feathers. 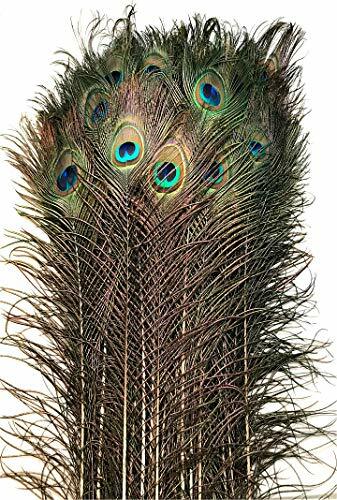 Beautiful Iridescent Peacock Tail Feathers sized 30-35" in length.These feathers have been selected for quality and hand steamed to make sure they are as nice as they possibly can be. 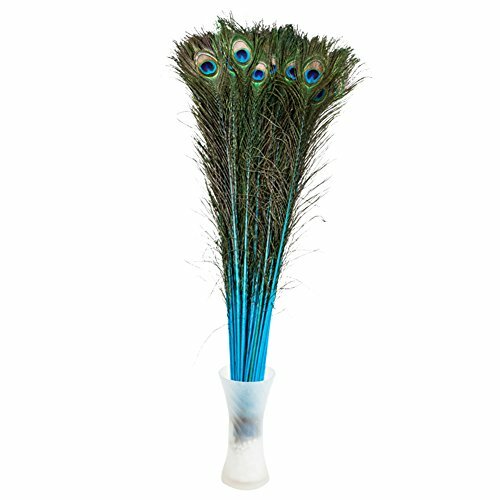 Peacock Feathers are wonderful as household decorations but can also be used for arts, crafts, costuming, floral arrangements, and fishing flies. 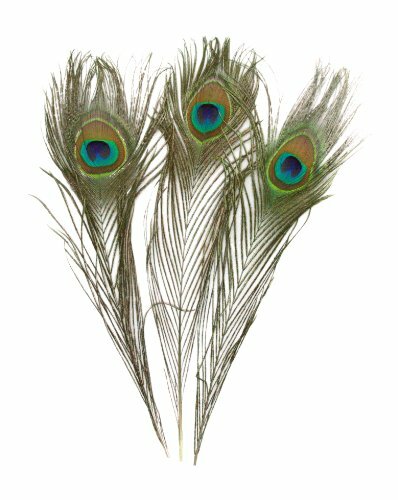 These feathers have been naturally molted and collected, so NO PEACOCKS WERE HARMED FOR THEIR FEATHERS. 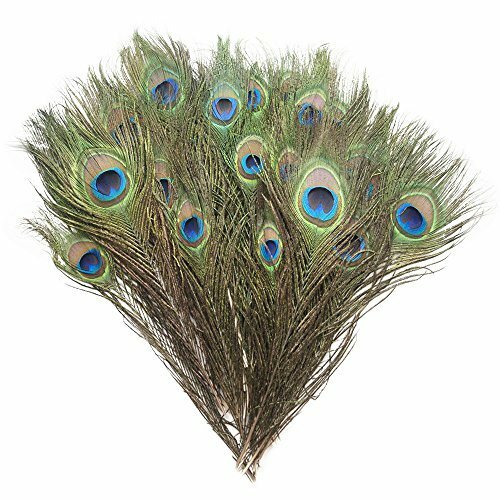 Perfect ornaments,suitable for table decorations,flower arranging, hat trims, or jewelry adornments. 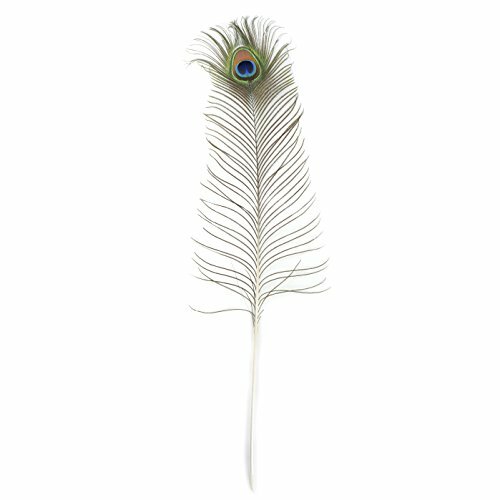 Safe and clean,all feather items have been professionally cleaned, steamed and sanitized to perfection. Hand selected for best quality. Come all natural with natural beautiful colors. 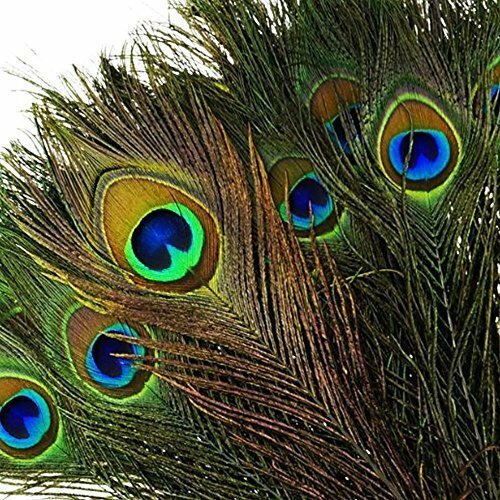 Good moral,the eye of the peacock is thought by many to be the symbol of dignity,good luck and happiness. 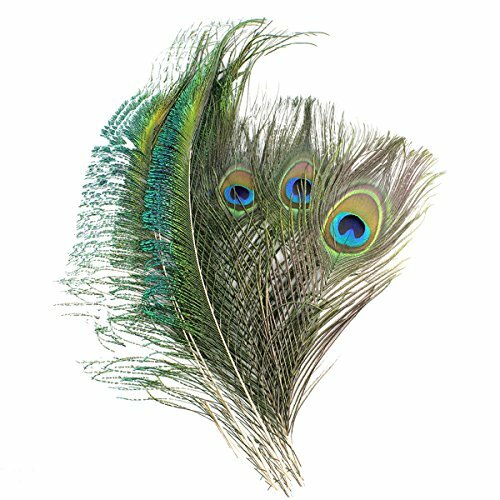 Size:approximately 10 - 12 inches(Natural feathers will vary very slightly in size). The eye of the peacock is thought by many to be the harbinger of good luck. These are known to go great with all decorations. Project:Natural peacock feathers Color: As shown in the picture.